FanKit Models has over nine years of experience in building miniatures. All his production steps (prototype, mold casting, assembly, and painting) are being realized in within their own company. 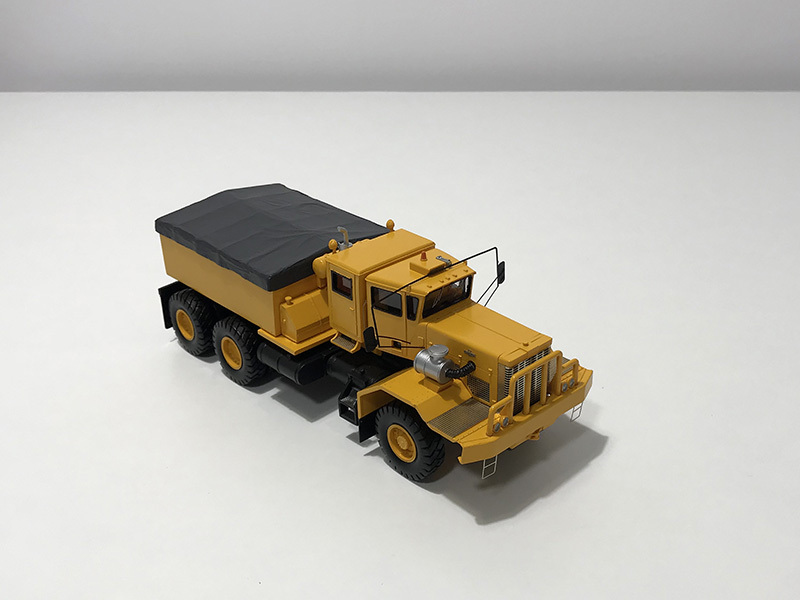 The future of FanKit Models is continuing its series of exclusive range of small civilian and army vehicles and construction equipment. 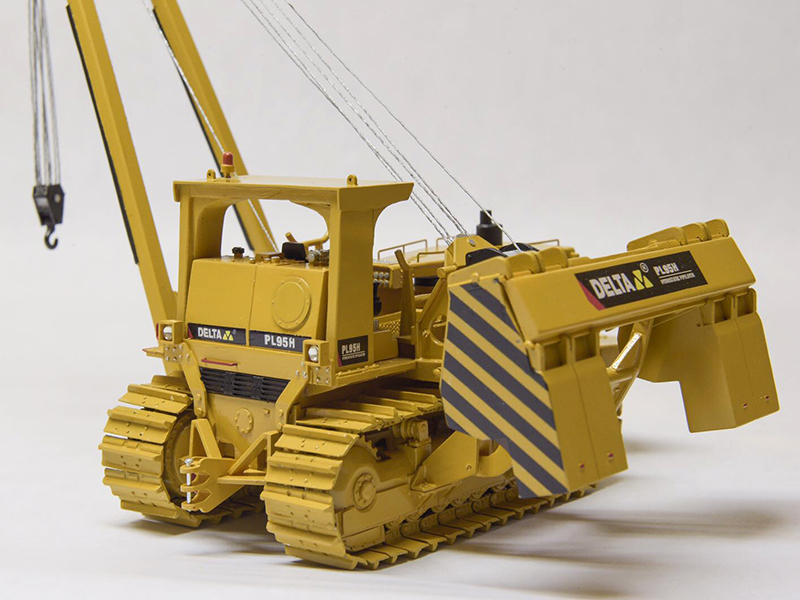 FanKit Models strives passionately to develop and produce models for enthusiasts and collectors of this unique scale models. 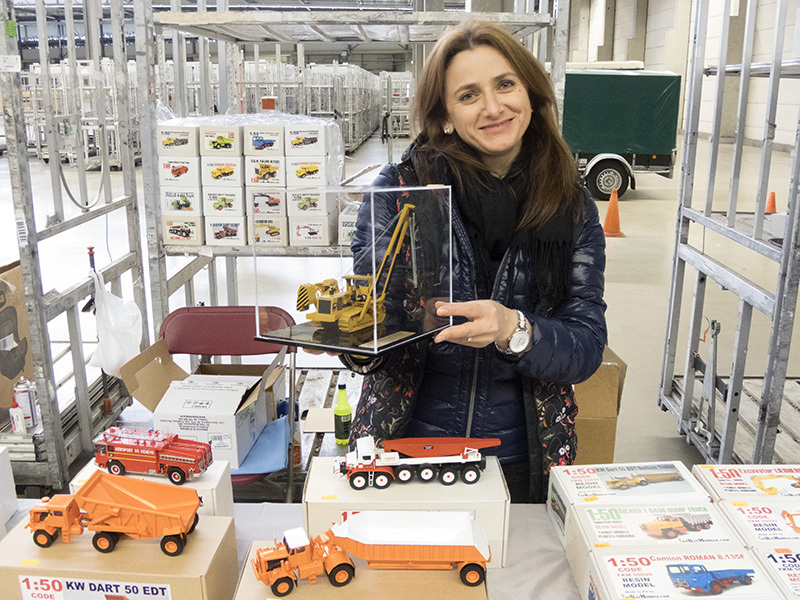 The women behind FanKit Models is Simona Macelaru. Simona speaks good English, and if you write, preferably to her e-mail adress fankitmodels@yahoo.com in English, She is very capable to communicate with you if you require more information over their unique range scale models. Curious? Make sure you visit the website! In the upcoming “Making of…” I will add progress photos and dimensional details. 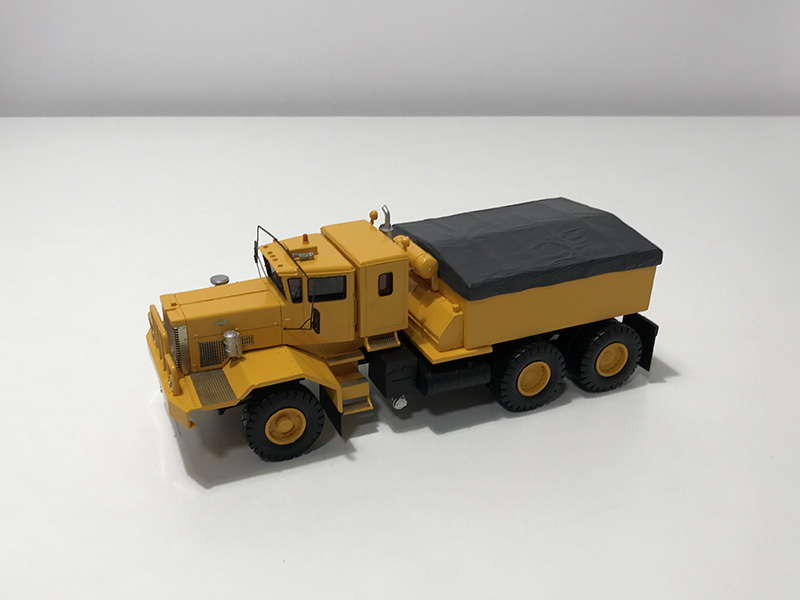 Final sales price and the delivery schedule date of this custom built scale model will be posted on our Website when available. Most likely the introduction will take place during the Modelshow Europe 2019 in Ede, The Netherlands on March 16th 2019. 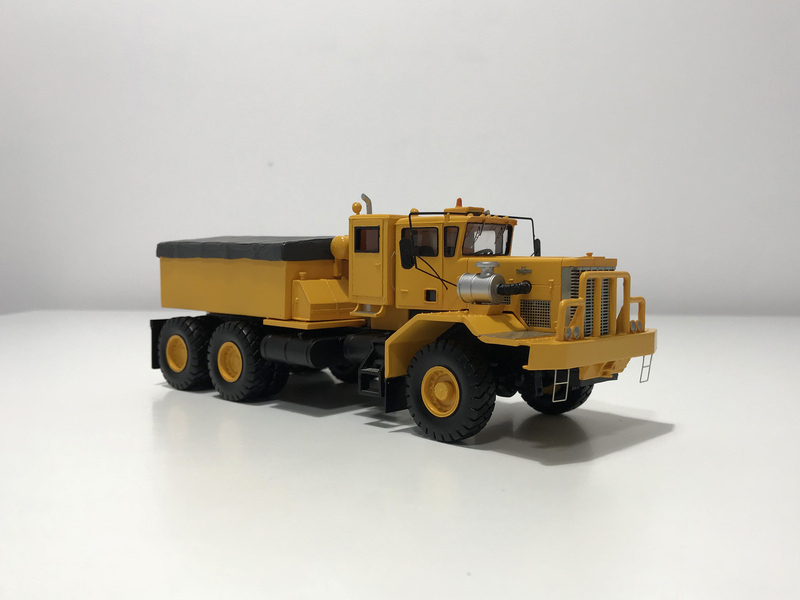 Thanks to the cooperation of some of Die hard collectors, this unique 1:50th scale model of the Oshkosh J30120 6x4 Heavy Haulage Tractor has been realized in perfect collaboration with FanKit Models! A model to be proud of! 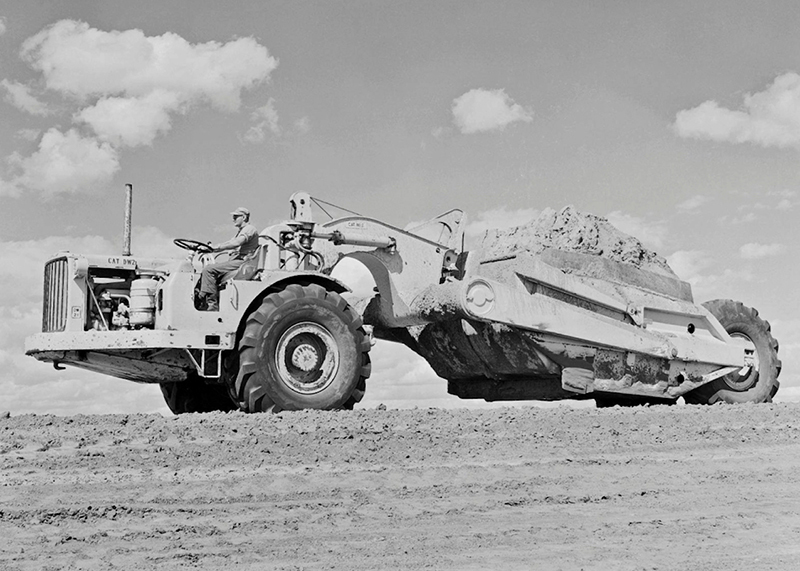 This monster truck is in the 1:1 version equipped with a Caterpillar 3408 Diesel engine as a power source. 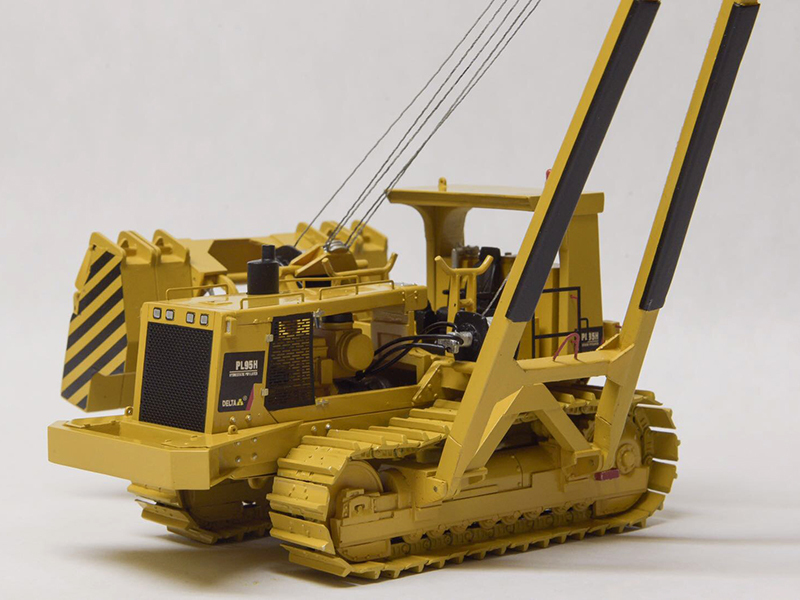 So PoweredbyCat this scalemodel should not miss the collection of the diehard Caterpillar collector. I have already placed my order! 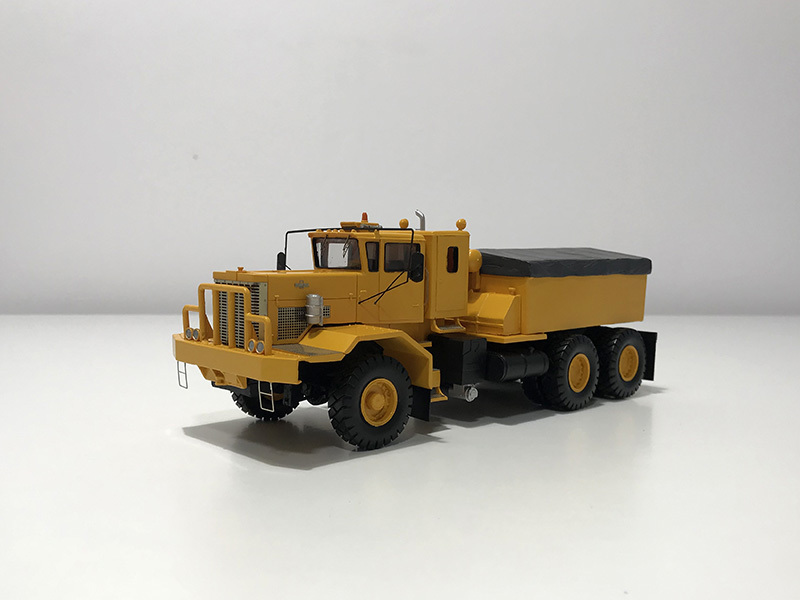 The Oshkosh J30120 6x4 Heavy Haulage Tractor will be produced in a very limited amount in resin and can be built on request in the desired company livery or in the desired Oshkosh color. The Delta PL95H Hydrostatic Pipelayer is made by Delta Machinery based in Moerdijk, The Netherlands and PoweredByCat by a Caterpillar C13 Acert Tier IIIA engine producing 440hp. 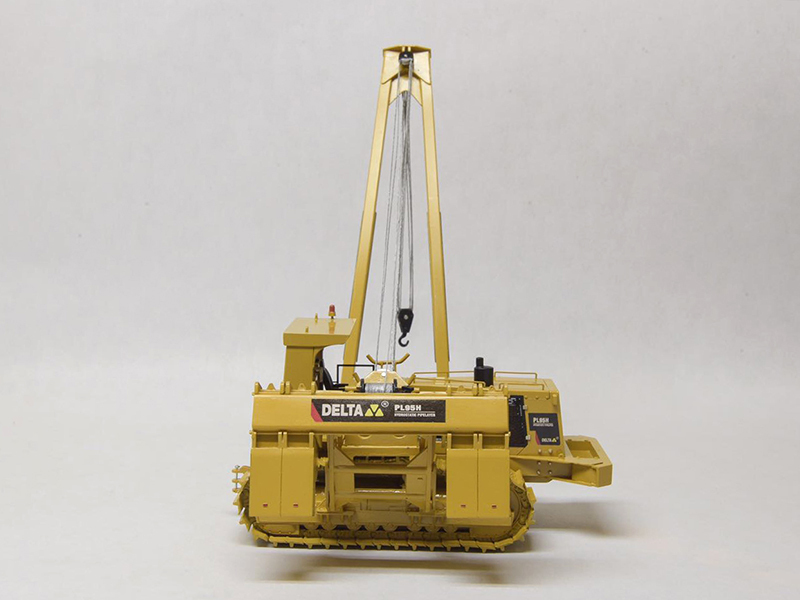 This next knock out model of the Delta Machinery PL95H Pipelayer is made from resin with metal tracks and will be available in very limited numbers. 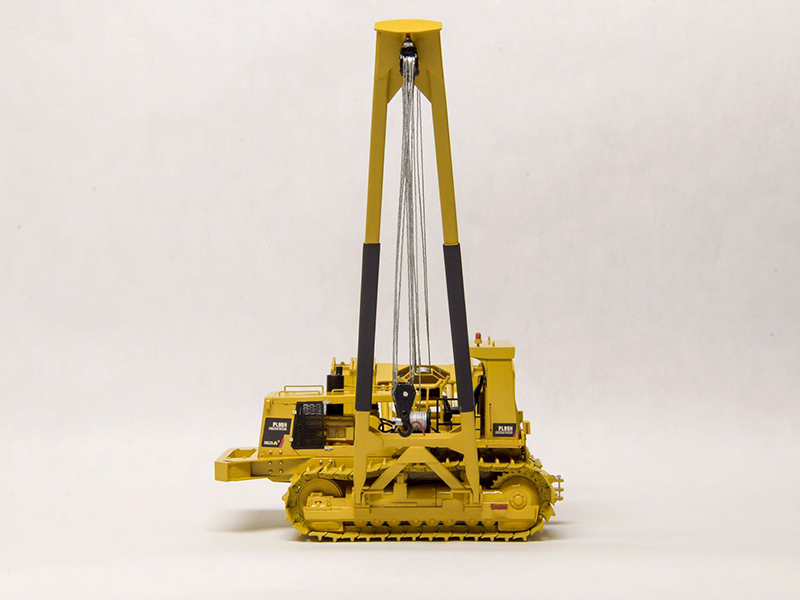 A must have for every Pipelayer collector! The Sales price is 430,- euro for a model built and shipping cost. This next knock out model is available in very limited numbers for the serious collectors. FanKit Models ships worldwide.